Relief at Source - it changes again! The latest change to the annual statistical return for HMRC means that firms now only need to submit information in respect of those members who have made a contribution in the year. We have therefore amended the annual return program to identify only the members who have made a contribution. As a result of this, the time taken to complete and submit the return is significantly reduced. n.b. - If you are submitting your return using the SDES service, please remember to complete and return the sheet detailing the returns you intend to make. May 25th has now been and gone and it would seem as though happily, the planet is still spinning and the sky did not fall in. 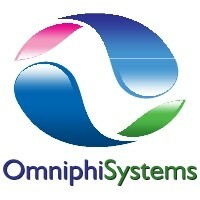 The latest version of Omni is the first to be solely run in an SQL environment without any of the old table structure. The new structure makes the program faster and enables the running of the various feeds and reports to be even quicker than before. The adding of a timer to the OmniWork module for accurate tracking of time spent. We are pleased to announce that the OmniPAYE and PAYEOnline modules have been recognised and approved by HMRC, meaning the module is fully compliant with all aspects of pension payroll calculations and RTI submissions. If you would like more information on the PAYE module, please get in touch. Following in the change in submission deadline for the RAS return from October to July, the Annual Return part of the SIPP program has been amended in line with the new year end. The requirements for the report have not changed, only the period in which the information is required has changed and so users are still required to obtain fund values and splits for all members as well as the other basic information. We are developing an XL report that will allow users to run a report that will automatically update Omni with a fund value and, under certain conditions, will store a split of the fund so as to reduce the work required, given the reduced deadline. Following the introduction of the new tax rates for Scotland, the Omni PAYE module has been amended to allow for any members with an "S" code. It will also allow for members who switch part way through the year between a Scottish and Rest of UK tax code and vice versa. The PAYE online module will continue to report the payments via RTI and allows for the relevant tax code. Further to the interim release earlier this year, the final version of Omni 15.7 has now been released. The new version allows for full tracking of both Fixed and Individual Protection 2016 together with an amendment to the annual allowance report to allow users to produce both Standard Annual allowance statements and Money Purchase Annual Allowance Statements. Following the cut in interest rates to 0.25% users are reminded to update their databases with the new rate. If you have any queries on this, please contact us. Following the new requirement to report details of in-specie contributions on the APSS105 and 106 forms, the release of version 15.7 has been brought forward to allow for this. There is now scope to detail the amount and type of asset in the contribution screen, all of which is reported in the contribution tax reclaim report. In addition to the above, the required changes to the RTI submission for tax free beneficiaries has been included in this release together with a report designed to calculate and input interest from NS&I Income Bonds. A further version of 15.7 will be released in due course. the change to pension input periods. Numerous other changes have been introduced, full details of which can be found in the version 15.6 help file. With effect from April 2016, the payment of any tax free beneficiary payments must be reported to HMRC through RTI. The main Omni and Omni RTI Payroll modules are being amended to allow users to set up and pay any beneficiaries, both tax free and taxable, and will then carry out all the relevant reporting to HMRC without any need for additional user input. We are aware that some user firms have been asked by the FCA to complete a Quarterly Retirement Income Data Request. If your company is lucky enough to have been one of the "sample" firms to receive the request, the majority of the information can already be obtained from the Omni XL Reports suite. However, in order to deal with the questions on the "Withdrawals" tab, there is now a new report to enable users to complete the withdrawals matrix. Following the latest missive from the FCA, SIPP operators are required to provide answers to questions concerning what members have been up to following the introduction of the new rules in April this year. Although the majority of the answers can be obtained via existing XL Reports, question 1.5 concerning the number of members in various asset value bands has required a new report. We have therefore added a new function to the XL Reports suite which identifies all members aged 55 and above who have not taken any benefits. The Omni PAYE program and RTI submissions now includes the functionality for the new M & N tax codes from HMRC. As you would expect, we are now working on developing the program to cope with the new Scottish Rate of tax, effective for the 2016/17 tax year.